Grass, like every living thing on the earth, has a life-cycle. Even though most lawns are perennial in nature they get old and tired. Because of the mowing process the seeds never get to form or if they do, they probably get mowed off. So, the opportunity to thicken up the lawn is negated.That’s where we have to step in and help nature via lightly reseeding. Reseeding should be done on an annual basis, primarily in the fall (September and early October). Reseeding helps to revitalize a summer-worn turf. Since most lawns are cool season (Bluegrass, Ryegrass, Tall Fescue) they go into a dormant (sleeping) state in the summer. Yet that is when lawns get the most use, so they don’t recover as quickly. After temperatures cool down it is wise to lightly reseed your lawn and by so doing you will REJUVENATE it. Plant populations will increase, which will provide more competition against those pesky weeds. Newer varieties of grass are also introduced, which bring more heat tolerance, cold tolerance, disease resistance and better water usage. 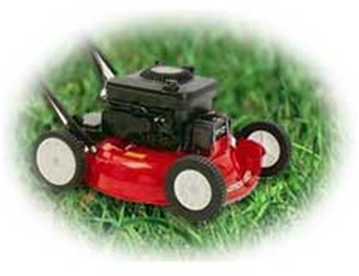 Rejuvenate® is ideal for over seeding home lawns, commercial projects, tee boxes, and other worn out turf areas. Rejuvenate® is now available in a patch kit. We have combined the seed of Rejuvenate with alfalfa pellets and fertilizer to create a patch kit to mend bare spots in turf. This is ideal for repairing divots on tee boxes, thin spots in turf due to disease/insects or dogs. There are a couple of formulations. 2) Tall Fescue/perennial rye/bluegrass mix. The recommended seeding rates are 10#/1,000 sq. ft. and 5-6#/1,000 sq. ft., respectively. The patch kit is available in 5, 10,25 and 50lb bags.